DO YOU WANT TO BE A MASTER IN JOINT ADJUSTMENT? 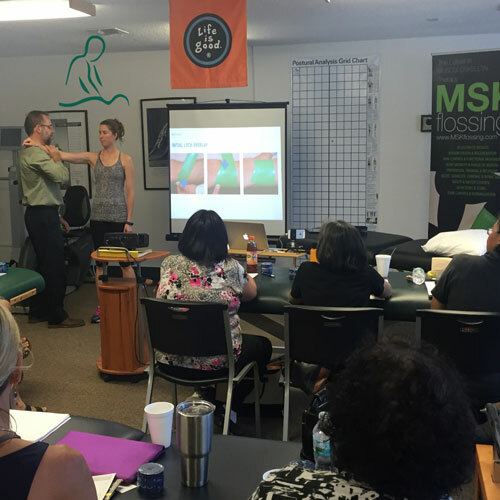 The idea of the Advanced Joint Adjustment course is to bring together the best of the evaluation and treatment of the highest techniques of manipulation and joint mobilization. While basic training courses will teach simple techniques, mostly rotating (when directed to the vertebrae), the Advanced Joint Adjustment course will identify all movement changes, whether in bending, rotating, stretching, or tilting. By following the laws of joint physiology, you will learn to put, by parameter, the articulation in a position such that manipulation (and mobilization as the case may be) happens in a simple way without great expenditure of energy by the therapist. This makes the complex become simple. Many diseases are related to joint treatments. When a joint blocks it, it can cause muscle pain, joint pain in other joints, trigger points, postural deviations, and disc hernias among many other triggered processes of pathology. For these reasons, it is very important to learn how to manipulate the joints. This course can make a big difference and your clinic. Professor with vast experience in chiropractic and osteopathic manipulation. The method fulfills the standards of the American Physical Therapy Association (APTA). This course worth credits for ITM specialization course.